2017/2018 Chapter Officers with Bishop Conlon at the Nov 11th Bishop's Burse. The Chapter presented a check to the Bishop for $6,000.00. Catholic men are called to a life of loving service as disciples of Christ. We are called to care for our families, to attend to the poor and to defend those in need, especially the weakest among us. A wonderful opportunity exists for Catholic men to answer this call to serve by becoming members of the Knights of Columbus. The Knights of Columbus was founded in 1882, by the Fr. Michael J. McGivney, a diocesan parish priest who had a vision of an organization which would provide Catholic men the opportunity to live their faith through charitable works while at the same time protecting their families through a fraternal benefits society. Each year, this organization of Catholic men collectively donates millions in dollars and hours to charity while offering members access to insurance benefits for their families. 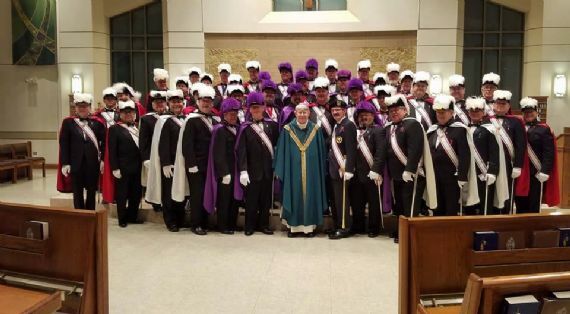 In addition members have the opportunity build up the church, promote a culture of life, support vocations and develop leadership skills while sharing a fraternal brotherhood with men of similar values. As a 4th Degree Knight of Columbus myself, I have personally witnessed the outstanding work that these men have accomplished in our diocese. However, there is still much work which needs to done in the name of charity. 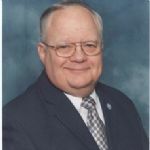 I strongly encourage each man in this diocese who is a practicing Catholic to consider joining the Knights of Columbus. Please take time to visit with them. It will make a great difference in your life. You will all continue to be in my prayers.